If you’ve been considering purchasing a retractable awning for your home it’s important to consider 3 factors: Value, Cost and Durability. Buying a retractable deck awning is an investment in your home. Smaller more economical awnings start at $2,000 while larger perimeter awnings can cost over $3,000 depending on optional hardware. If you’re trying to price a retractable awning, the best thing you could do is contact us for a free quote to find out the cost of a retractable awning for your home. 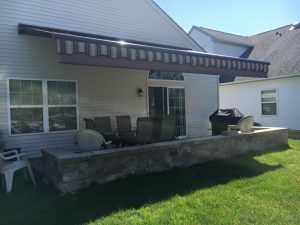 Before you make the decision to buy a retractable awning, it’s important to education yourself as much as possible about the pros and cons of owning a retractable awning. Here are the top three benefits and potential drawbacks to consider before making a purchase. What are the Pros & Cons of Retractable Awnings? 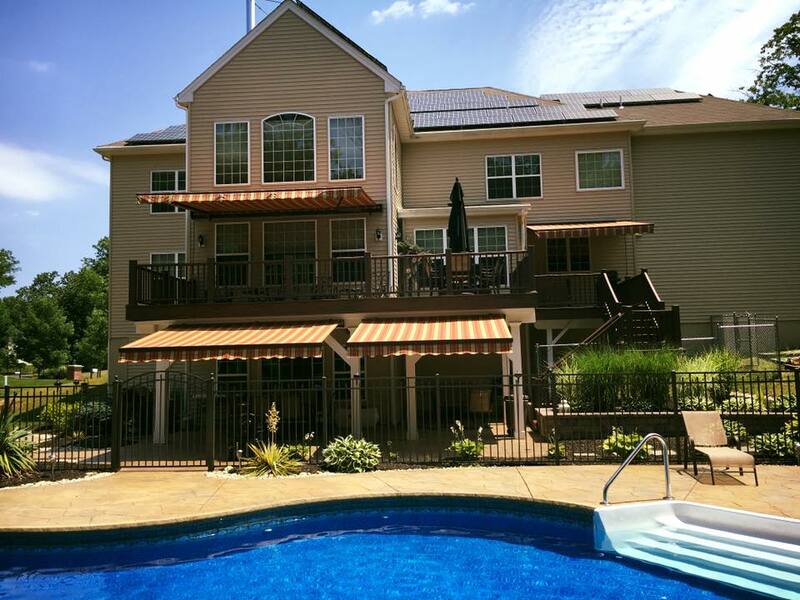 Typically homeowners purchase a retractable awning to provide shade over their decks. This enables them to increase the amount of time spent outdoors and makes their outdoor environment much more comfortable. The initial cost to buy and install a retractable awning is minimal in comparison to installing many other backyard amenities. An unexpected side bonus is that they often end up saving the homeowner money in the long term, in part because of the shade they provide to the interior of the home. Air conditioners don’t have to work as hard to cool the home, resulting in lower electric bills. Over time, these can add up to significant savings. While nonretractable awnings are cheaper, they’re also more likely to be damaged during bad weather. For example, in a wind storm, the retractable version can be retracted to keep it protected and stable. The nonretractable kind are exposed to the wind and can easily be torn. Over time, exposure to sun can bleach he fabric on awnings, which means that those that can’t be retracted will fade much sooner. A retractable awning is a terrific way to protect your outdoor patio furniture, but you may not realize they can also protect the furniture indoors. Providing shade to certain rooms in your house means the furniture and fabrics means less exposure to the sun without subjecting your furniture to the sun’s bleaching effect, or to drying out. There’s no ignoring the fact that retractable awnings are at the high end of awnings thus making them more expensive. This means it’s even more important to consider the fact that they will provide the benefits you’re looking for. It’s also important to ensure you’re purchasing a quality retractable awning from a reputable company like The Awning Warehouse. This will guarantee your awning will last many years. All awnings, retractable and nonretractable alike, require cleaning on at least a seasonal basis. Over time, your retractable awning can accumulate a good deal of dust and debris. The last thing homeowners want is an awning that becomes an eyesore rather than an attractive element of their home. In addition, water can collect in some places on fabric awnings, which can lead to unhealthy mold growth. You’ll also need to keep the metal parts of the awnings clean and free of debris to keep them functioning properly. Primarily there are two main types of retractable awnings to choose from: manual or motorized. 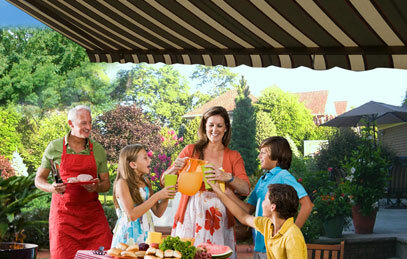 Motorized awnings are typically more expensive but also much more convenient. Many motorized awnings come with remote controls making them easy to operate, and others also have sensors that cause them to retract when they sense rain. Manual awnings may become difficult to operate over time, and if the motorized version has an electric sensor, it will need to be replaced periodically, adding to the expense. When the electric sensor isn’t functioning, you’ll need to operate the awning manually.